The Steel's Deluxe gift basket gives a large sampling of our best candies and makes a great gift for a special occasion such as a wedding, anniversary or company event or occasion. The receiver will not be able to put down their basket as these candies will touch their palette in every way. 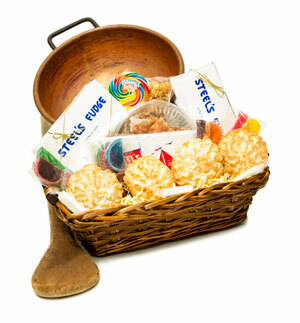 This basket includes a $15 shipping surcharge.